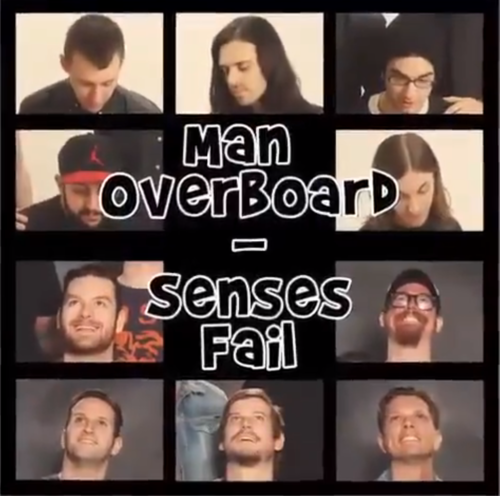 Yesterday, Senses Fail and Man Overboard announced that they would be releasing a 7″ split EP which is set for release on March 3 via Pure Noise Records. The release will consist of a new song from each band as well as a cover of Man Overboard by Senses Fail and vice versa. After releasing a 15-second clip on their official Facebook page yesterday, Senses Fail has debuted their original song, titled “All You Need Is Already Within You,” which serves as a b-side to their upcoming record, Pull The Thrones From Your Heart. The song’s sound further proves the band’s quest to evolve on a grander scale, as heard in their last album, Renacer. You can have a listen to “All You Need Is Already Within You” below. Pre-orders for the split EP are now available over at MerchNow. Check out the track listing for the EP below and be sure to get a copy on release day.